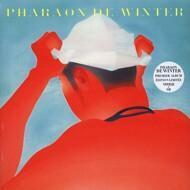 “Love will remember Pharaon de Winter", it says at the very end of this record. Pharaon de Winter was a relatively unsuccessful painter from Northern France. Today it’s the name of a band, but also the name of the song that changed its author’s life. Pharaon de Winter "Pointillisme" [Music Video] from Kinou Conseil on Vimeo.